When you contract with a builder, you want to ensure that there is a balance between budget, time and money. With respect to budget, every project we do is carried out under written contract. It sets out the details of the project including dollars, terms, time schedule and specifications. Our attention to detail before construction starts, together with our clients, eliminates the need for cost over-runs unless the client decides to make a change. Building or renovating a home may be one of the biggest and exciting projects you will undertake in your life. We are committed to working closely with our clients to make sure the entire process is smooth and enjoyable. MDI experience in luxury home building, new home building, new construction, room addition, home renovation, home remodeling, kitchen remodeling, bathroom remodeling, restoration, design, permit, grading, foundation, framing, roofing, windows, stucco, insulation, plumbing, electrical, solar, carpet, cabinetry, granite countertops, tile floor, flooring, doors, paint, sheetrock, drywall, texture, baseboards, hardware, appliances, cocrete, driveway, hardwood floor, firesprinkler, best contractor, #1 contractor, fence, landscaping, utilities, garage door, laundry, master bedroom, roof, pool, city building department, blueprints, top contractor. BAM CONSTRUCTION SERVICES IS A UNIQUE CONSTRUCTION FIRM WITH ECO-FRIENDLY PRINCIPLES. WE ARE BASED IN THE SACRAMENTO REGION; WHICH WE BELIEVE IS THE NEXT INTERNATIONAL HOTSPOT FOR GREEN, LARGE-SCALE DEVELOPMENT AND GROWTH. THE SACRAMENTO REGION HAS BEEN DUBBED THE “EMERALD VALLEY” IN AN EFFORT TO LEAD THE NATION IN LARGE SCALE SELF-SUSTAINING CONSTRUCTION AMD RE-STRUCTURING PRINCIPLES, AS WELL AS THE CENTER FOR NEW HIGH-TECH AND GREEN-TECH GROWTH. 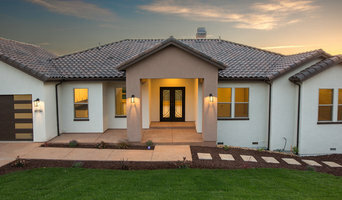 America's Dream HomeWorks is a family-owned full service home improvement contractor in Sacramento, CA offering complete home remodeling and a 20,000 Sq. 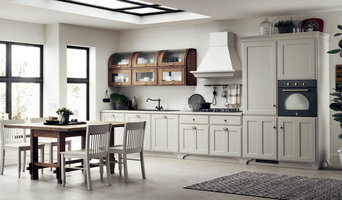 Ft. Grand Kitchen & Bathroom Showroom. We help homeowners with all of their home improvement needs. With the professional knowledge and vast resources, we are able to provide our customers with the best products, unmatched customer service and affordable prices. So whether it's complete home renovation, siding installation, a kitchen or bathroom remodel, granite/quartz countertops or window replacements, we are your reliable go-to-source for top quality, great looking, on time results! We service Sacramento, Placer County, Bay Area and surrounding areas. America's Dream HomeWorks can make your dream home a reality! Visit our website to find out more about current promotions. Spectrum One has focused on quality in everything we do since we first opened our doors. This means using only the best suppliers, contractors, and trades (many of whom have worked in the industry their entire adult lives), which ultimately provides our clients with premiere services in and around the Sacramento region. In fact, we’ve been in business for so long that everyone down at Sacramento City Hall knows us by name, which often makes the permit process much faster! Spectrum One is a general contractor in Sacramento, CA specializing in: Home Remodeling, Kitchen Remodeling, Bathroom Remodeling, Siding, Wood Siding, Vinyl Siding, Fiber Cement Siding, Flooring, Hardwood Flooring, Laminate Flooring, Tile Flooring, Decking, Residential & Commercial Painting, Roofing, HVAC, Home Additions, New Home Construction, Custom Home Builds and Stucco. We service Antelope, Auburn, Carmichael, Citrus Heights, Davis, El Dorado Hills, Elk Grove, Folsom, Galt, Gold River, Granite Bay, Loomis, Natomas, Orangevale, Placer County, Placerville, Rancho Cordova, Rocklin, Rosemont, Roseville, Sacramento, Tracy, Truckee, Woodland, Yuba City and surrounding areas. Call Spectrum One today at 916-571-2830, and let’s start bringing your dream home to life! California Exteriors is offering numerous discounts on enhancing your living environment. We offer FREE estimates and are locally owned and operated. Your satisfaction is our guarantee. We specialize in concrete stamping, pavers, driveway, walkway, patio design, indoor and outdoor living spaces. 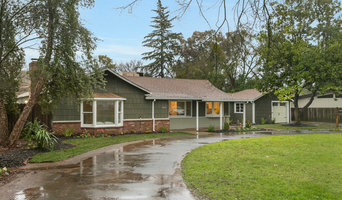 California Exteriors is fast and affordable. Our work stands out due to expertise. We do 12 jobs a week and only use our employees with NO Subcontractors. Our crews have been working with each other for years and each worker knows his job very well and our foreman is reliable and has our workers respect and they all show up to work on time and do their jobs exceptionally! Environmental Landscape Solutions is a Sacramento based construction company specializing in concrete, masonry and landscape solutions, for residential to commercial size projects, throughout the State of California. With a complete staff of designers to specialized installation crews, ELS can help you install a new outdoor living area, update your irrigation system to take advantage of new water efficient technologies, or work with you on designing your new yard. Residential projects require individual solutions for each yard and homeowner. By having an in house designer, ELS can provide your new or updated outdoor living space, with a plan and phased approach to complete any size project. By having ELS help you with your residential projects, we can help you monitor your irrigation and keep your water bills low once the project is completed. ELS can also come back and help maintain and prune the trees and shrubs so their long term growth habits meet the intended sizes and shapes. Let ELS help you complete your residential project and allow you to invest your money wisely, while also helping you enjoy your new space and/or view, once your project is complete. Built Right Renovation has been renovating homes for many years. We make it a priority to keep open lines of communication with our customers throughout every step of every construction or renovation project. Our approach to the construction process strongly emphasizes listening and communicating with our clients. We understand how important it is that our clients be kept aware of the progress of the projects. We make sure the process is as open and honest as possible. We pride ourselves on our ability to move forward in a timely manner once a project scope has been agreed upon and complete all projects in the agreed time frame upon the scope. Here at Built Right Renovation, you will find a great team with quality work and you can be sure we will provide you with a great experience. We hope you consider us to help you get started on your next home improvement project. LR Landscaping and Pavers is a Landscaping contractor and Paving stone contractor with over 15 years contracting experience, and since 2007 has specialized in the installation of paving stones, synthetic grass, garden and retaining walls in the residential and commercial market. We are locally owned by Lee Reveles. Lee and his Project Manager, Bill Bailey, personally work with you to ‘create beautiful faces on your outdoor spaces'. Here are some of the projects we are able to install for you. Patios Pool decks Driveways Walkways Retaining walls Seat walls Garden walls Lot line walls Synthetic grass Low voltage lighting systems, including paver lights and more Outdoor Kitchens Fire pits Landscaping and drainage and irrigation Natural Stone installation LR Landscping and Pavers Provides the following warranty on installations: Pavers and Walls – 25 years Synthetic Grass - 8 years We take great pride in giving our customers the highest quality work and personalized care, and we proudly represent all of the major manufacturers of beautiful 'Made in America' paving stones and wall material. All of our paver and wall installations follow the standards set by the Interlocking Concrete Pavement Institution and the National Concrete Masonry Association. We offer a 25 year warranty on our installations for your peace of mind. We are properly licensed by the California Contractors State License Board, (Lic # 903031) and carry workers compensation and general liability insurance. Our crew are full time employees. We do not use sub-contractors. Take a moment to browse our photo gallery, to view some of our most recent jobs, and call us at 916-502-6037 for a free estimate and consultation along with references of our very happy customers. Tru-Line Builders is one of the premier general contractors in Western Nevada County, Truckee, and Lake Tahoe areas. We pride ourselves on our client relationships and commitment to quality. We consistently deliver value to projects with our extensive experience building in Nevada County. AD Murry Construction is the trusted professional for any of the Sacramento area’s general contractor and construction needs. With over 25 years experience and expertise stemming from an upbringing in the carpentry industry, Anthony prides himself on having involvement in every project from start to finish and ensuring the utmost quality and client satisfaction. Our mission statement is to develop lasting relationships with our customers by way of exceeding their expectations and gaining their trust through exceptional performance and a beautiful finished product.